If you are buying real estate in Thailand then speak to a property lawyer who will view the contract for you. These are only the basics of what to look for when viewing property contracts in Thailand. Speak to an attorney before signing any contract. 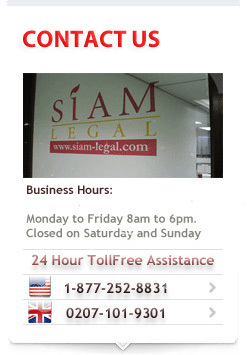 If you are considering buying a condo in Thailand then look no further than our property lawyers at Siam Legal. With offices in all the major cities in Thailand we will assist you in obtaining the property you want without the risk involved that you would normally expect.